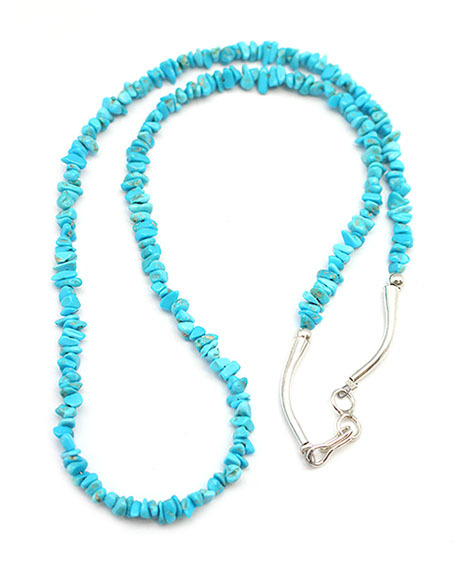 Single strand necklace, strung with small natural sleeping beauty turquoise nuggets and sterling silver cones, beads and hook and eye. 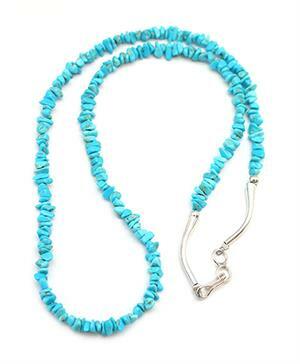 It measures approximately 21" long and is strung by Navajo artisan Sandra Francisco. Size and shape of stones will vary.